What is special about this design? This shirt is a great find for any woman who values style and comfort. This shirt costs a bit more than the shirts commonly sold at chain retail establishments, but this shirt is an item for the fashion connoisseur. For starters, this shirt is made in the USA and helps support American industry and provide jobs for Americans. This shirt is also made of 100% cotton and features our artistically unique Quantum Cat Designs logo tag on the back of the collar. This design is intricate and complex and features many different colors. Getting the printing of this design right was time consuming and difficult, and most printers were not in interested in taking a print contract or this design; therefore, the production cost is not real cheap. What can I say I am a bit of a perfectionist! 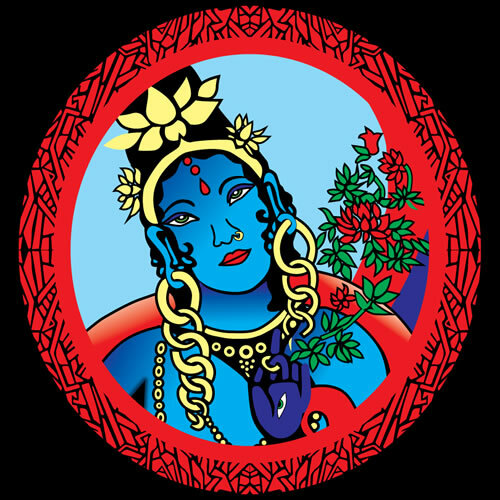 This design was named Tara after the Buddhist goddess of compassion. 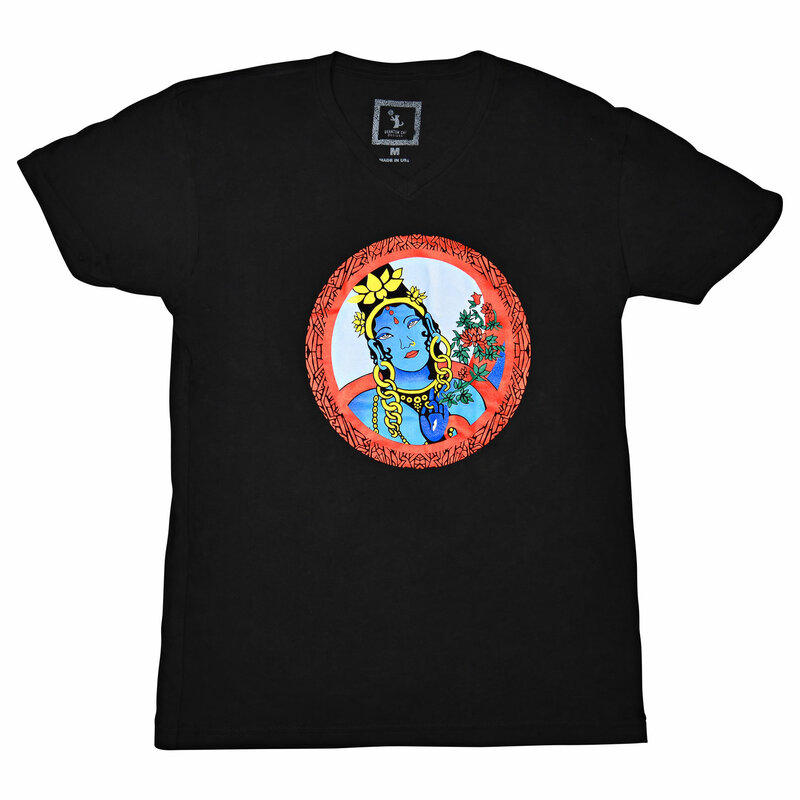 Tara is another of our women’s t-shirt designs based on an original painting by San Diego artist Grace Helms. This image is meant to be artistically pleasing and perhaps a bit spiritually charged. The Tara print shirt makes for an article of clothing that is great for outings and perhaps a good addition to a yoga practicing wardrobe.